Logline: When a pregnant 12-year-old girl is recovered from a freezing lake, then disappears into the wilderness, a troubled detective returns to her old hometown and becomes embroiled in the township’s dark secrets. Jane Campion has a distinct style and is not afraid to throw caution to the wind. Returning to the small screen to direct a mini-series, twenty-three years after her magnificent portrait of Janet Frame, An Angel At My Table, she has created a small-town crime mystery with more than a few nods to David Lynch’s masterful Twin Peaks, but without the supernatural element. Garnering a top-notch cast of Australasians, but giving the top roles to Americans and English, Top Of The Lake is set in the beautiful rugged mountainous landscape of New Zealand’s South Island. It is here in this village brew that the scum rises to the surface. Young Tui (Jacquiline Joe) has been raped and has escaped into the bush. Who is the culprit? Detective Robin Griffin (Elizabeth Moss), a child specialist, is called in to investigate and uncovers more than she’d care to. The mood and vibe is cool, sensual, yet detached, and very typical of Campion. The cinematography is icy, serene, and stunning, sensational work from my favourite Australian DOP, Adam Arkapaw. A brooding, melancholy score from Mark Bradshaw keeps the vibe in check, and uniformly excellent performances from the large cast keep this mystery on a compelling slow burn. Scots actor Peter Mullan is the standout, as Tui’s dangerous and volatile father Matt. He steals almost every scene he’s in. 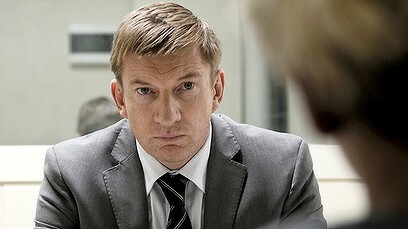 David Wenham is superb as the dubious police inspector, and there’s strong work from American Elizabeth Moss as Det. Griffin, although her Australasian accent was a most curious distraction. It’s a shame the script, by Campion and Gerard Lee, is so full of character inconsistencies and strange, and sometimes annoying, narrative deviations, including a rushed and rather unsatisfying denouement. The sub-plot of Holly Hunter’s guru-of-sorts “GJ” and her posse of women in plight was almost entirely unnecessary, and only served as comic relief, much of it unintentional. It was as if Campion and Lee had transplanted this story element from an entirely different screenplay. Despite its frustrating script problems (and a lame title), Top Of The Lake is still well worth viewing for some of its more intense dramatic moments, the lush scenery, and the colourful performances, all hallmarks of Campion’s best work. 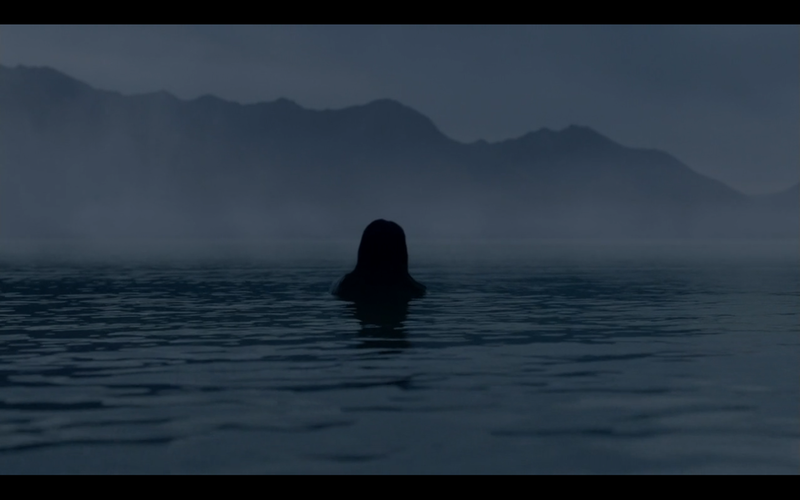 Top Of The Lake is released in Australia by Transmission Films.